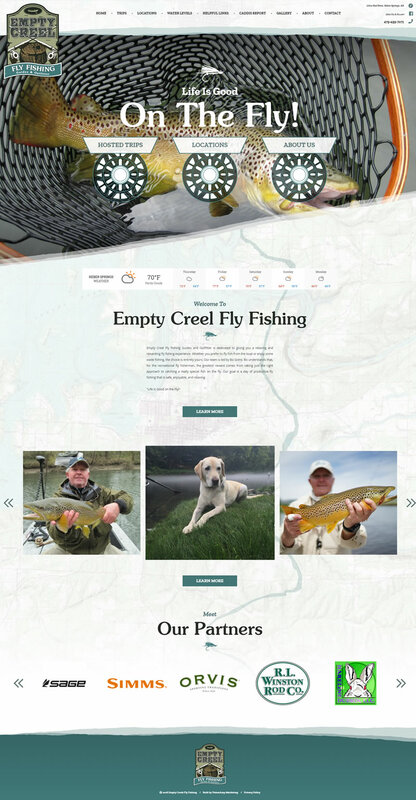 The newly updated website for Empty Creel Fly Fishing is absolutely stunning. Large call-to-action buttons and a clean top navigation menu make it easy for visitors to quickly find information. The number to call for more information or to book a trip is located at the top of each page. And if visitors to the site are on their phone or mobile device, they can simply click on the number to call. 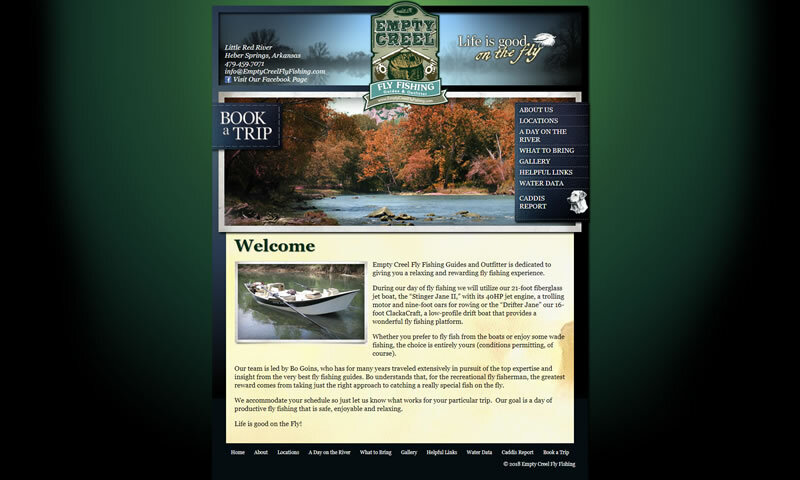 Empty Creel Fly Fishing Guides and Outfitter is located in Heber Springs, Arkansas, and provides fly fishing experiences. The team is led by Bo Goins. Their ultimate goal is to give each person a day of productive fly fishing that is safe, enjoyable, and relaxing.